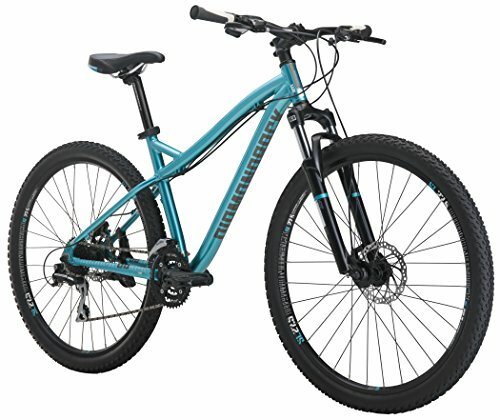 Top 10 Best Bikes for Overweight Females in 2019 - Detailed Reviews! 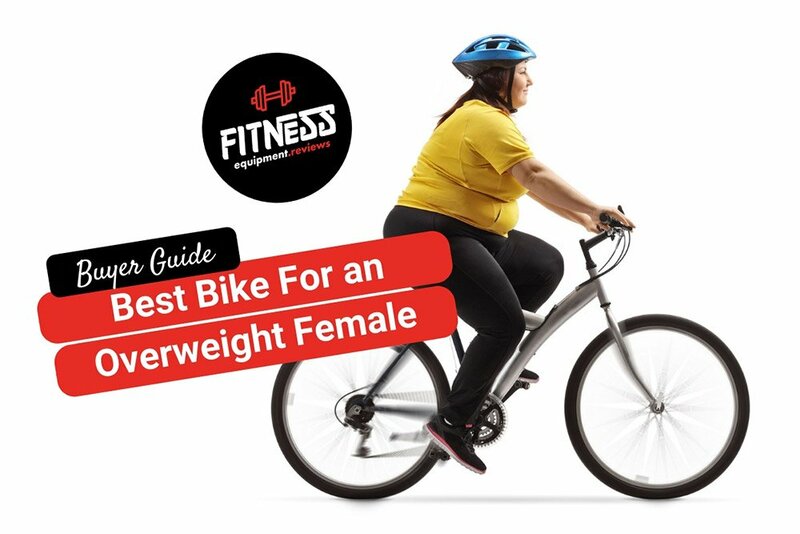 Need to find the best bike for an overweight female? 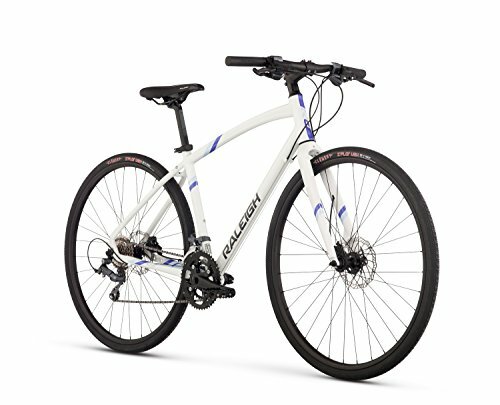 It can be rough to find plus size bikes. You need to find a bike that both accommodates your extra weight with ease and keeps you safe and comfortable when you ride it. Unfortunately, it’s not as easy a search as you would hope. Inventory of bukes for plus size ladies is more limited than you might expect. There is some good news, here. Considering that the average jeans size of American adult women is a size fourteen, some bicycle makers have responded. Finding a plus size bicycle is no longer as it once was. The main barrier to finding the best bike for overweight females is sifting through hundreds of bikes to determine the weight limit, take note of the construction, and whittle down the list to the few that are worth looking at—and we at Ram Research have done that for you. The Diamondback mountain bike brand is one of the most beloved bikes by cycling enthusiasts. They are famous for the sturdy but lightweight aluminum alloy frame construction and making tires that hold up to dirt and rock mountain trails. 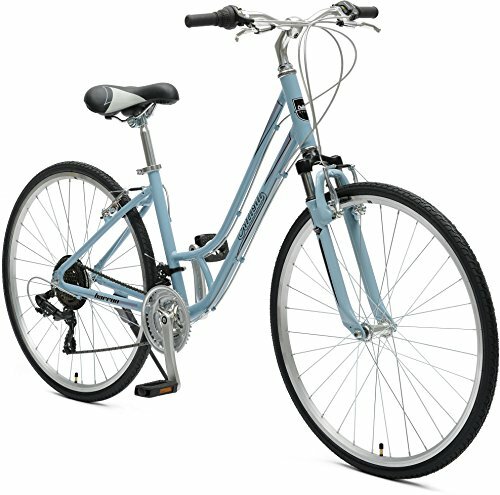 We added the Diamondback Lux bike to the “Best Bike for Overweight Female” list because of the wheels. These 27.5” wheels add traction and stability that will help the bike distribute the extra weight with ease. One of the greatest features of this plus size bicycle is the “Ready Ride” functionality. It is shipped fully assembled. All you need to do is fill the tires and ride. Because of Diamondback’s reputation for excellence and the fact that you won’t need the tool skills to assemble this bike, you can purchase this bike with confidence. Bikes for obese adults can be challenging if you have physical challenges—like hoisting your leg to mount a bike. The Pure City Dutch Style step-through bike solves that problem for you. Designed for city riding and not the trails, this bike offers some fun features like a bell and rear rack. A Dutch style bike is designed so that anyone can easily mount the bike by raising one leg just enough to step through to take your seat. It also enables you to ride in an upright position, not hunched over trying to grip the handlebars. Pure City designed this bike to work equally for as a city commuter bike or for exploring the country roads. You’ll enjoy this bike in whichever environment you call home. Lifetime manufacturer’s warranty on the frame and one year on parts. We are certain that the Pure City lifetime warranty on the frame should offer reassurance to shoppers who need a plus size bicycle, as they will replace the bike should your weight cause damage to the frame. The Sixthreezero Body Ease Comfort Bicycle is one of the best bikes for plus size ladies because it is designed for a comfortable ride. This bike has a step through style frame and is engineered to take the jolt out of biking, so you feel less pain in your joints after your ride. 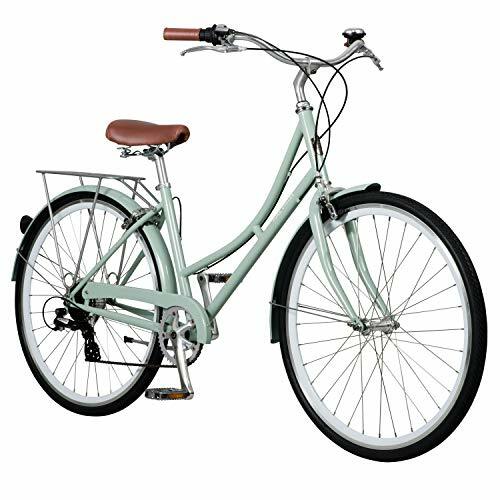 Not only is this bike comfy, it’s also very stylish in appearance and offers you three fashionable color choices, a rear rack, and an easy shifter to help you work through the three speeds with ease. If you want to engage in light exercise, this is an ideal bike. The step through frame allows you to mount easily. Plus, the suspension and seat post help to cushion you from jarring along the way. Those features help reduce the tender post-exercise feeling you might dread. 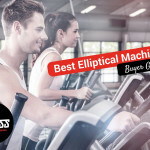 If you are just getting back in to an exercise program, this bike could be a fantastic option for you. You will ride comfortably, which will encourage you to continue on your path to improved health. This Adult Schwinn Tricycle is a 26" frame and comes with an attached shopping / beach basket. Padded spring cruiser saddle absorbs bumps while rear folding basket safely stores belongings. In Mint, Red Cherry, Silver or Blue this Adult Schwinn Tricycle is a sweet show stopping ride! Your sure to turn heads while cruising along the beach's boardwalk on this Adult Schwinn Tricycle! Do you want to try bicycling again—perhaps for the first time in many years? Maybe the best bicycle for you is…a tricycle. Yep, your childhood favorite has made a resurgence in a stylish grown-up version. Not to mention that this bike is made by Schwinn, one of America’s favorite bicycle brands. The Schwinn brand is synonymous with those bikes of our childhoods! This adult tricycle is a show stopper and conversation starter. Everyone you meet will compliment you on this bike. Unisex –but don’t let your man steal it! Schwinn is a household name that you’ve trusted since childhood. Buy this tricycle knowing you are purchasing a brand you know and love. Are you shorter or taller than the average woman? That stature, combined with being a curvy gal, might make frustrate you when shopping for plus size bikes. Enter the Raleigh Bikes Alysa, a fitness bike that comes in different size options, ranging from 5’ to 6’ and a few sizes in between. This bike allows you to choose based on your height, and it is sturdy enough to accommodate plus size weight. These features all mean one thing—the reliable construction that qualify it as one of the best bikes for obese adults. Don’t hesitate to order this bike, even if the assembly scares you. Raleigh has an online chat function and videos to help you through that daunting process. For those cyclists who want the style of a beach cruiser but the multi-use flexibility of a performance bike, the best plus size bicycle could be the Retrospec Critical Cycles Lady’s Hybrid Bike. This bicycle give you the stylish, easy look and walk through frame you expect from a beach bike and combines it with a 21-speed drive train that allows you to scale hills, commute to work, or get super fit. You’ll be able to tackle tough terrains or cruise the boardwalks with the Retrospec Lady’s Hybrid Bike. It has the features you need and the good looks you want. For good street performance and casual good looks, the Retrospec is a bike you’ll enjoy. Don’t hesitate to order this product. Lightweight hand-built step-thru alloy frame design with an upright riding position designed for urban commuting, leisurely riding and exercise. Equipped with Shimano 7 speed drivetrain, RevoShift grip shifter for ultimate precision, speed and control. Front and rear alloy brakes to keep you safe and in control of your ride all times. Kenda 700C tires grip the ground for a dependable ride every time. Includes rear mounted, color matched rack and faux leather roll bag for storage. 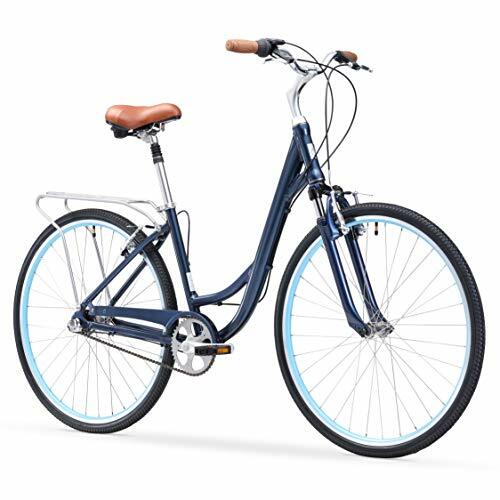 Great performance meets great, feminine looks and details with the Firth Sports Nadine Step-thru Bike. 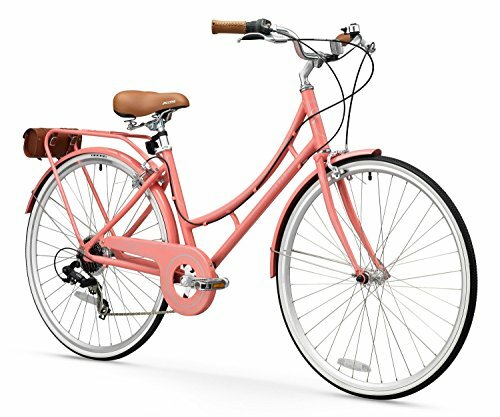 This bike comes in a rainbow of female-friendly colors and equipped with a rear rack and leather roll bag to stow away your essentials as you ride. This is noted as a “medium” size, so it will fit women of average heights. When you want a great looking bike with many color options and great performance, the Firth Sports Nadine is a serious contender. You’ll really enjoy this bike. Do you plan to ride your bike as your primary way to lose weight or become fitter? Consider the Schwinn Phocus 1500 Flat Bar Road Bike. While it’s sleek look is appealing, it’s truly built for punishing the roadways. As you become more fit, this bike will keep up with you and help you meet every goal. If you have every intention of getting fit, select a bike that will continue to serve your needs. This Schwinn is the best bike for an overweight female who plans to get lean. Feel confident ordering knowing that you are investing in Schwinn, a beloved American brand. 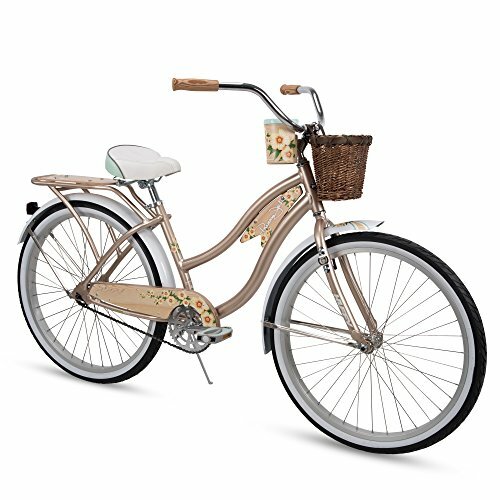 If you have visions of yourself cruising down the boardwalk on a hot summer day, the Huffy Panama Jack Beach Cruiser bike will become your new fave. You can tote all you need for a day on the beach, thanks to the wicker basket, cupholder, and rear rack. It’s an easy to operate single speed bike that’s you’ll master in minutes. A classic Panama Jack tropifloral print on the chain guard adds a touch of style. You’ll have so much fun cruising the beaches on this bike that you’ll forget that your exercising. Remember that this bike has a 10-year warranty on the frame. Because of that warranty, this is a risk-free purchase which is why we include it as a best bike for overweight females. 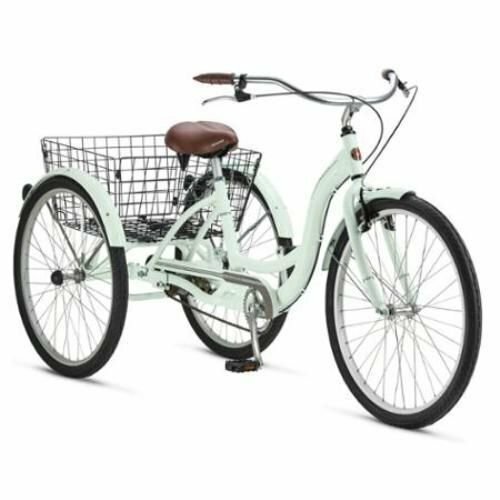 Those who wish to invest in an easy-to-use one-speed bike for cruising at the beach or around the neighborhood should take a look at the ENSTVER Urban Lady Beach Cruiser Bicycle. Not only will you master riding this bike quickly, you’ll look stylish doing it! You’ll love the stylish color choices, which include a hard-to-find purple as much as you’ll enjoy the widened, cushy seat. We consider a best bike for overweight females because of the seat. 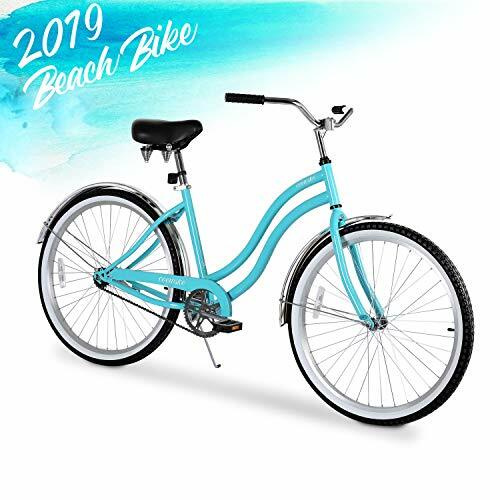 With the dual springs and the padded saddle that’s wide enough for your curves, we are confident you will love this beach bike. There are many bicycle styles out there. Decide if you want a beach cruiser, road bike, mountain bike, or a hybrid that mashes up two of those styles. Also, keep in mind your height and order the frame that will fit you most comfortable. Comfort features are essential when seeking the best bike for overweight females or the best bike for fat ppl, because without that comfy feeling, you will not be inspired to keep riding. 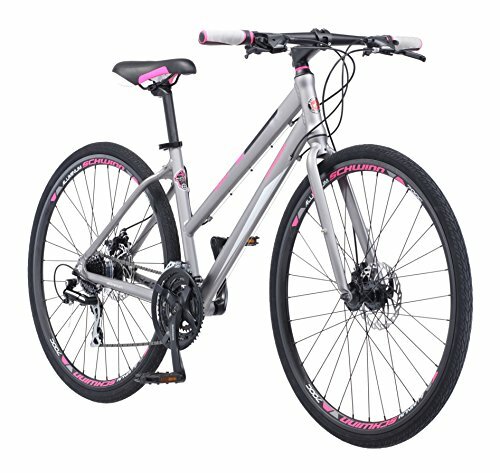 Choosing the best bike for overweight females is easy with our detailed reviews. The Pure City Step Through bike is a wonderful bike, built quite well and trendy looking. I got this for my partner for her birthday and she loves it! If anyone wants a bike that will last for years to come, this bike is it. Easy to assemble and a beautiful ride.